It's September y'all - time to get ready for all of that fall baking we love to do! I thought I would get ahead of the game and get some of my spices ready. 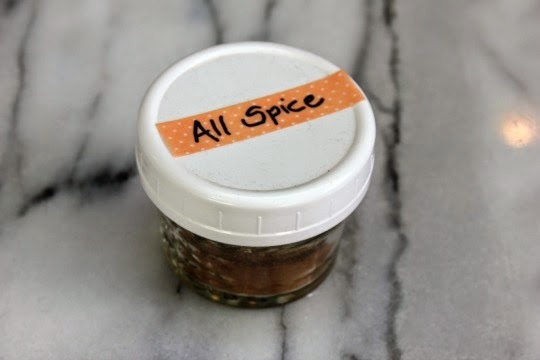 I never buy All-Spice since I already have all of the ingredients to make it in my pantry any way. 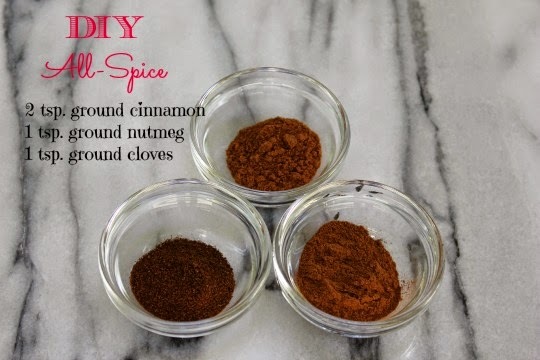 Spices are expensive, making your own spice mixes can save you money and an extra trip to the store. Hope this little DIY tip helps! Whisk 2 tsp. ground cinnamon, 1 tsp. ground nutmeg and 1 tsp. ground cloves together. Store in an air-tight container - I use a 4 oz. jelly jar and a washi tape label. What's on your fall baking list?